Similar to the IDEAL® TKO™ Carbide Tipped Hole Cutters we have incorporated the SmoothStart™ tip which minimizes thread damage and extends the life of the bits. While traditional drill taps have single or double flute design, IDEAL® Drill taps come with 3-flute design providing faster chip removal and minimizes binding while drilling. 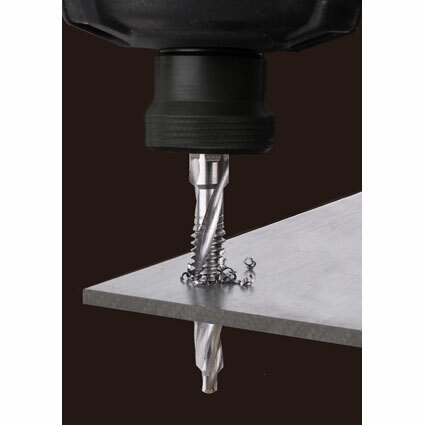 The deburring cutting edge provides a clean hole and prevents over drilling.